KievA chilling tale of how Petro Poroshenko's proxies fattened already exorbitantly priced low-quality smuggled spares. 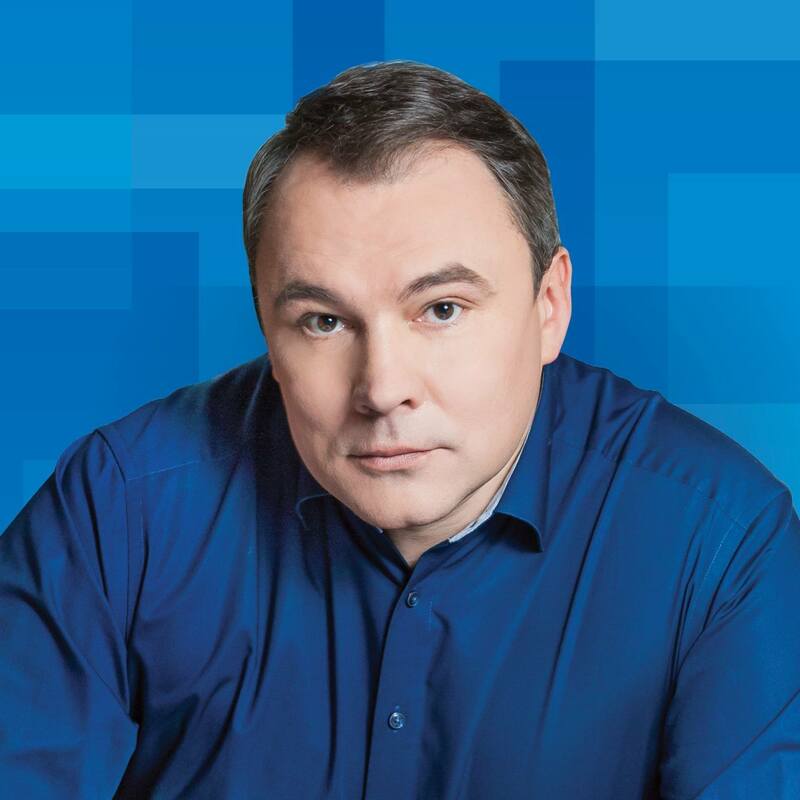 The Head of State of self-proclaimed Lugansk People’s Republic (LPR) Igor Plotnitsky (pictured) has been forced to resign. His duties have been taken over by Head of the State Security Bureau Leonid Pasechnik. On November 21, armored vehicles rolled into Lugansk at the order of the Ministry of Interior and secured key buildings, assisted by a contingent sent by the neighboring Donetsk People’s Republic (DPR). They proceeded in arresting associates of the Head of State Igor Plotnitsky, accusing them of being agents sent by Kiev. Free West Media's reporter was on site. INTERVIEWInterview with Alexander Hug, Principal Deputy Chief Monitor of the OSCE Special Monitoring Mission to Ukraine. Russia plans to provide sophisticated air-defence systems to Syria, which might escalate global tensions, admits the vice-speaker of the country's parliament. 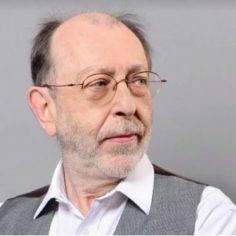 Russian Vladimir “Vovan” Kuznetsov and Alexey “Lexus” Stolyarov influence world politics by tricking world leaders to expose their behind-the-scenes rhetoric and, in cases, ignorance. In February, they got through to US congresswoman Maxine Waters, posing as the Ukrainian PM complaining about Russian invasions around the globe. After fifty years of fruitless waiting, Turkey drops the idea of EU membership and turns eastwards towards Russia, restoring the severed ties and eyeing a membership in the Shanghai Cooperation Organization or BRICS. 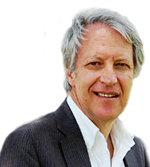 The Istanbul professor Mehmet Perinçek explains the logic behind Ankara’s u-turn. 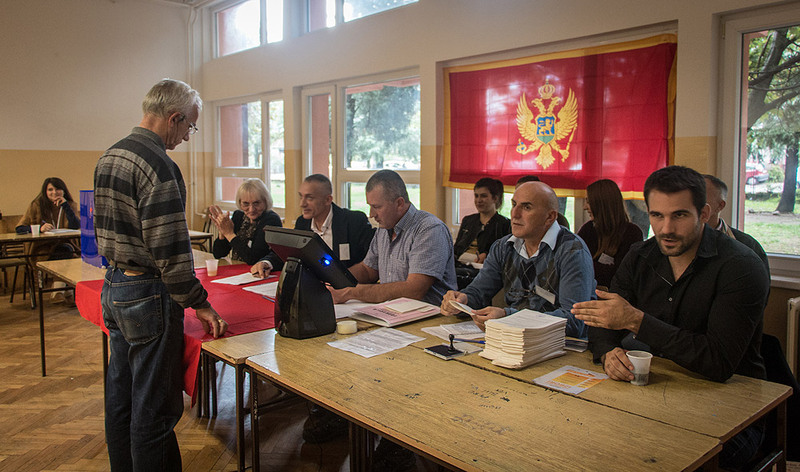 Elections in Montenegro October 16 were crucial for the question of whether the country would apply for NATO membership or approaching Russia. 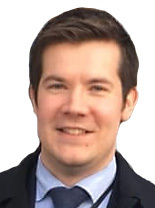 The result, however, has been an unclear parliamentary situation in which neither the ruling party nor the fragmented opposition won a majority. The election was also marked by corruption allegations, where expatriates without the right to vote were allowed to do so and where votes even were bought. Free West Media reports from Montenegro. INTERVIEWInterior Minister of the Republika Srpska, Dragan Lukač, underscores that the recent referendum on the national day of the enclave republic should not be perceived as a step towards independence. Among his observations is also the existence of a “White Al-Qaeda” consisting of Bosniaks who are Europeans in appearance and descent but also Muslim jihadis. The successful plebiscite showing overwhelming support for the “national interest” of the enclave republic strengthened the hand of its president Milorad Dodik. His meeting with Russia’s President Vladimir Putin also seems to reveal a keen interest taken by Russia in the issue and potential future support from the Kremlin for the Serbian inhabitants of Bosnia and Herzegovina. 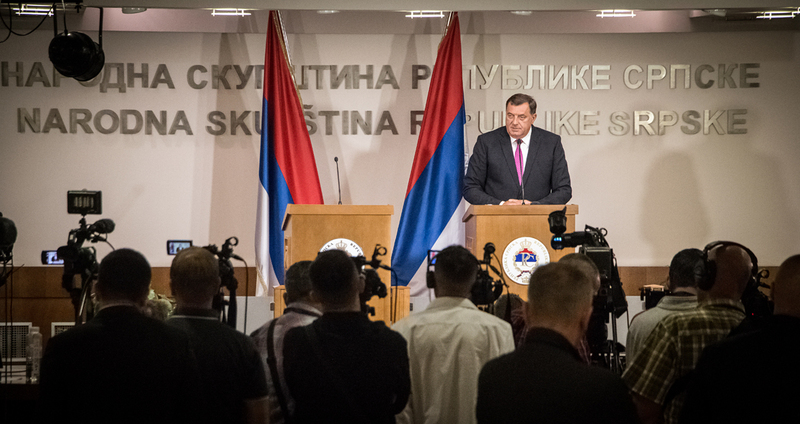 BOSNIAA serious political crisis has been unfolding in Bosnia and Herzegovina, and, to be exact, in one constituent part of it – the entity of Republika Srpska – for a year already. The crisis in this post-Yugoslav country threatens the stability of the entire region. The opposition wants to sue the Prime Minister and the Minister of Finance for accepting foreign loans without the approval of parliament. 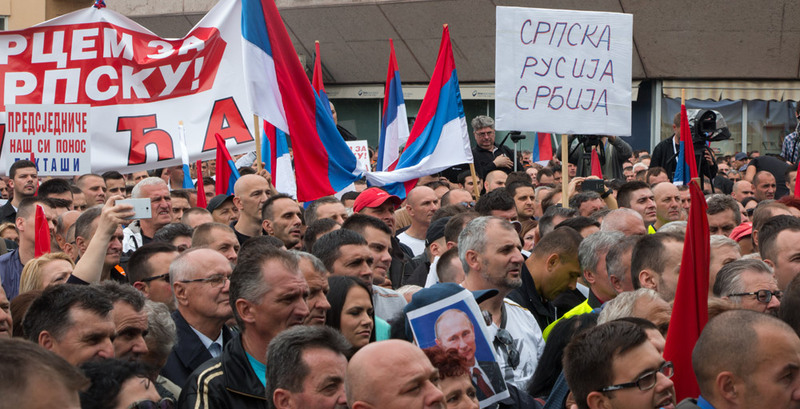 Recently, demonstrations were held by both opposition and government supporters in the capital Banja Luka. Nya Tider attended both demonstrations and interviewed leading figures on both sides.